The Sound of Thirst explains the urgency of taking water and wastewater seriously in an age where good management and political will are chronically scarce. This book present a moral, economic and environmental case for spending the many trillions of pounds needed worldwide in the coming decades to ensure safe water for all—and a more sustainable society. Leaving behind the old lie that water should be free, The Sound of Thirst explores how the human right to water is about empowering people to make reasoned choices about their destiny and combating global inequality. It highlights the technologies and techniques that we can use to attain water security. 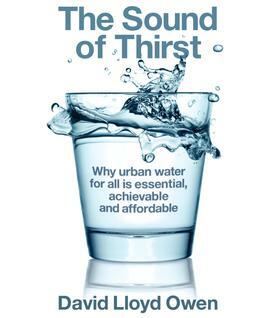 Written with both the curious and the specialist in mind and packed with stories and sources, The Sound of Thirst will appeal to anybody looking to understand the realities of our common water future.